Rush Limbaugh may have forever earned our contempt for coining the (utterly illogical) word "feminazi," making truly awful comments about sexual assault, and countless other misdeeds, but it seems he's not completely all bad — at the very least he's a very generous tipper. And this week, a waitress donated Rush Limbaugh's tips to an abortion fund. Sometimes it's the little acts of wealth redistribution that make you smile most, am I right? Merritt Tierce, an author and former waitress whose debut novel is based on her time working at a Dallas steakhouse, revealed in an interview with Dallas News that she waited on Rush Limbaugh twice during her time at the restaurant and both times he left her a $1,000 tip, which actually makes me move him down a few notches from "basically evil" to just "incredibly horrid" in my estimation; I'm a firm believer that how a person treats service people says a lot about their character. Still, Tierce says, she was uncomfortable keeping the money, given that she disagreed with just about everything Limbaugh stood for. "It was really bizarre to me that he gave me $2,000, and he's evil incarnate in some ways," she said. And the money, she added, felt "like blood money to me." So instead she decided to donate the money to TEA Fund, an organization which helps women in Texas pay for abortions. Something tells me Limbaugh would not approve. 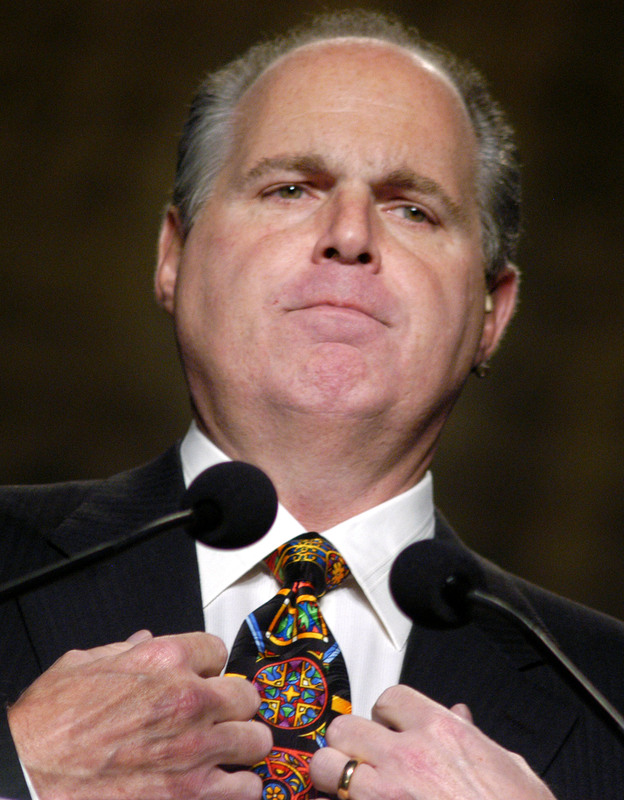 Predictably, Limbaugh's fans are not thrilled with this news. The conservative site The Blaze says in their headline that Tierce made the donation "just to spite [Limbaugh]," despite the fact that she didn't say anything public about it at the time and didn't even include the anecdote in her semi-autobiographical novel. And then, of course, there are the Twitter people. I don't even know what that's supposed to mean, but whatever. I can't believe I would have to explain this to conservatives, but here goes: When you give someone a tip, that becomes their money. They have every right to do whatever they want with it, which is a principle I would think conservatives would support. But apparently not when it comes to women's reproductive health and freedom, I guess. The TEA Fund (short for Texas Equal Access) states on their website that they provide financial assistance to about 1,000 low-income people seeking abortions each year, and receive calls from thousands more whom they don't have sufficient funds to help. Considering these types of situations are created, in large part, by the conservative policies that Limbaugh helps fuel and support (such as the fact that Medicaid doesn't cover abortion in Texas), it seems only fitting that some of his generous tip money would go toward helping right this wrong in some small way. It certainly doesn't undo all the damage his policies have done in the past, but it's a start. It's also just great to remember that Rush Limbaugh's cash went toward funding someone's abortion. Sorry, Rush, but them's the breaks.